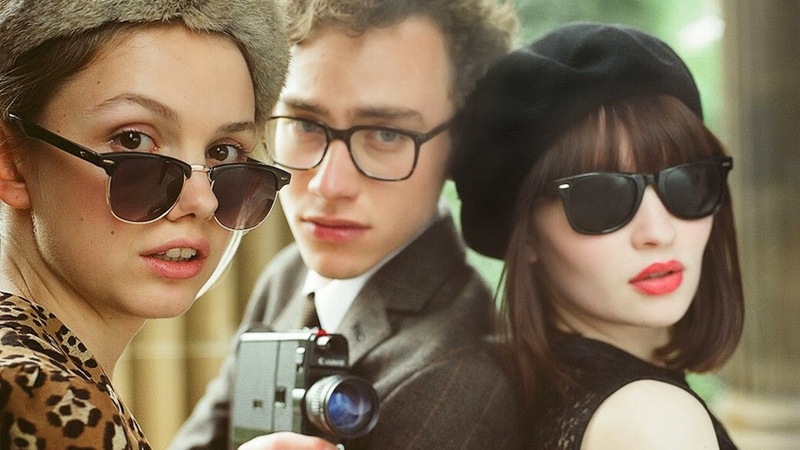 There's a certain amateurish "hey guys let's make a movie" quality to Stuart Murdoch's new musical, God Help the Girl, that is at once organic and charming. Like the titular band its young protagonists are trying to put together, God Help the Girl is loosely structured, scrappy, and oh so very hip. Yet unlike most things that get slapped with the label "hipster," the film never comes across as ironic or condescending, it's incredibly warm and sincere, bathed in a youthful nostalgia that is hard to resist. Emily Browning stars as Eve, a teenage girl who has been hospitalized for severe anorexia. But she constantly yearns for life outside her sterile hospital walls, and frequently sneaks out in the dead of night to listen to music and write songs, constantly looking for inspiration. It is on one such excursion where she meets James, a sensitive young life guard who really doesn't know how to talk to girls. The two become fast friends, and James begins to develop feelings for Eve, but being shy and awkward is unable to articulate them. Eve also has feelings for James, which she can only articulate through song (and he's not always sharp enough to get the point), but finds herself also drawn to a bad boy musician she needs to help her get her demo tape the attention it needs to ignite her career. Together, Eve and James form a band with Cassie, an aspiring songwriter that James is teaching to play guitar. They sing, they dance, they contemplate deep questions as they float through life - but Eve has a dream to become a world renowned musician, and begins to realize that perhaps the small time doodlings of her current life might not be enough. It's all very loose, its structure almost free form and secondary to its music, which takes center stage. Murdoch, of the band Belle & Sebastian, directs with a naturalistic, easy going style that brings to mind Jacques Demy and the French New Wave. He is completely unconcerned with telling a traditional narrative, and there's nothing wrong with that at all. The songs are a bit too on-the-nose at times, their descriptions of the action seem less inspired than when the characters allow their minds to wander. But there is a certain naturalist quality here that is hard to resist. The film looks the best when it switches into the 16mm films shot by James, and it almost made me wish the entire film had been shot like that. Those 16mm segments are the most visually inspired pieces of the entire film. I'm certain that the film will be viewed as too precious and twee in some circles, and that's fine. Movies like this aren't made for the cynical. This is a film about the cathartic power of music, and by extension, of art itself. God Help the Girl is the very embodiment of that idea. It's the kind of film that requires its audience to be on a very specific cultural wavelength to fully embrace, but its openness and heart should be enough to win over even the most jaded among us. GOD HELP THE GIRL | Directed by Stuart Murdoch | Stars Emily Browning, Olly Alexander, Hannah Murray, Pierre Boulanger | Not Rated | Now playing in select cities.